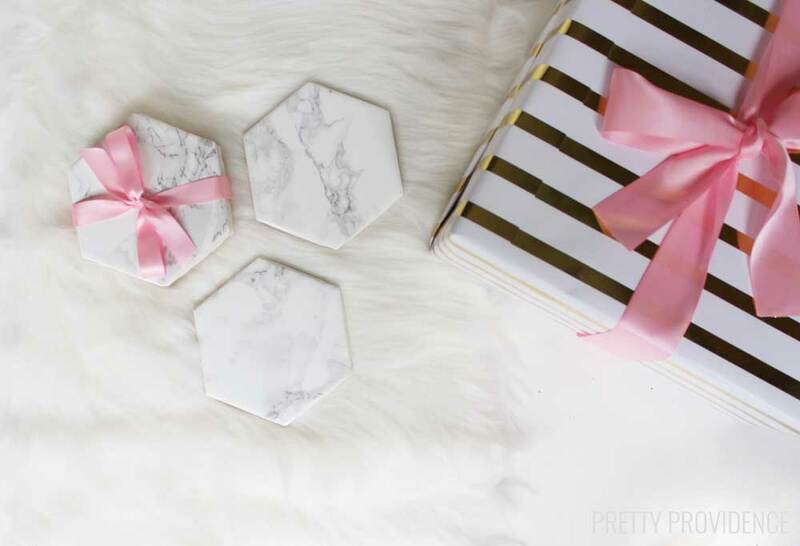 The marble trend is STRONG right now and I know I’m not alone in wanting to give pretty marble gifts to everyone I know and love. 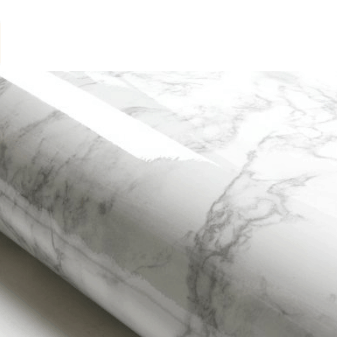 Marble can be expensive, though! 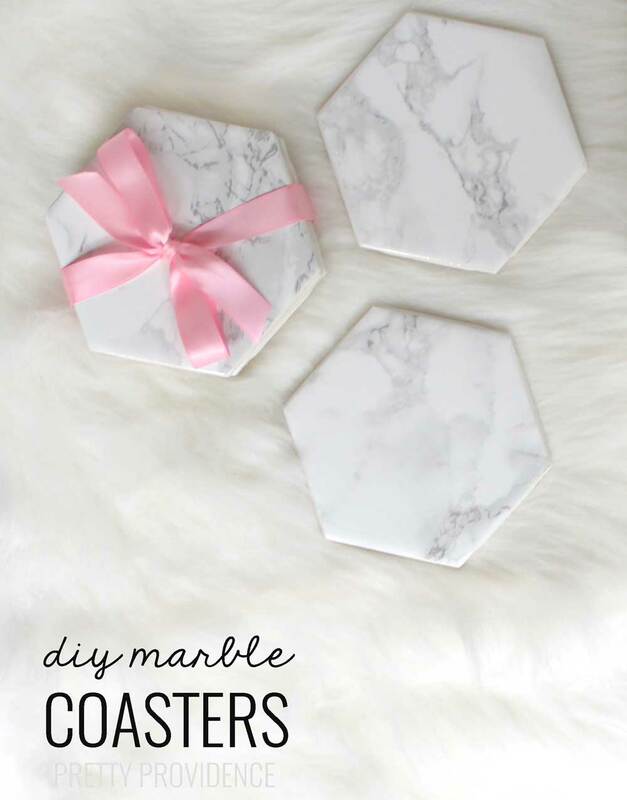 I thought I’d share this quick and easy tutorial for marble coasters today. 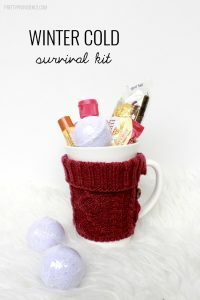 They are really quick and easy to make, and they make great gifts for almost any occasion! 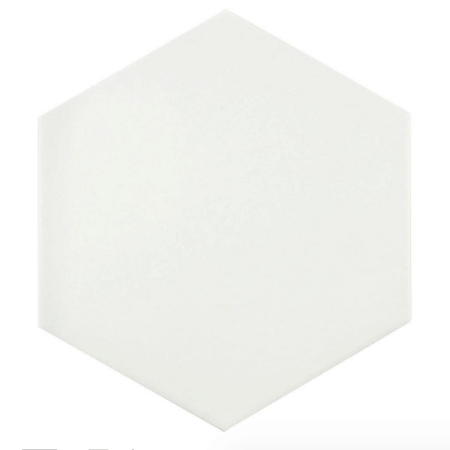 Trace hexagon tile shape with pencil onto the back of the contact paper. 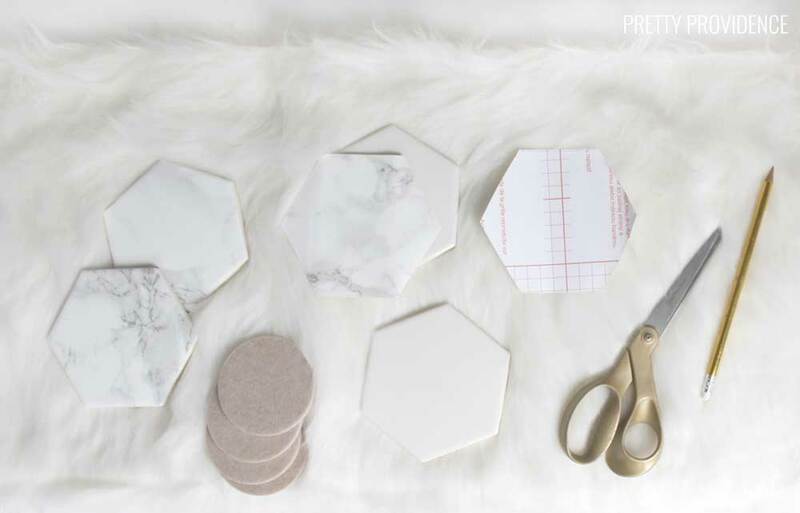 Cut out hexagon shapes and trim the sides down so they fit just right on the top of the tile. 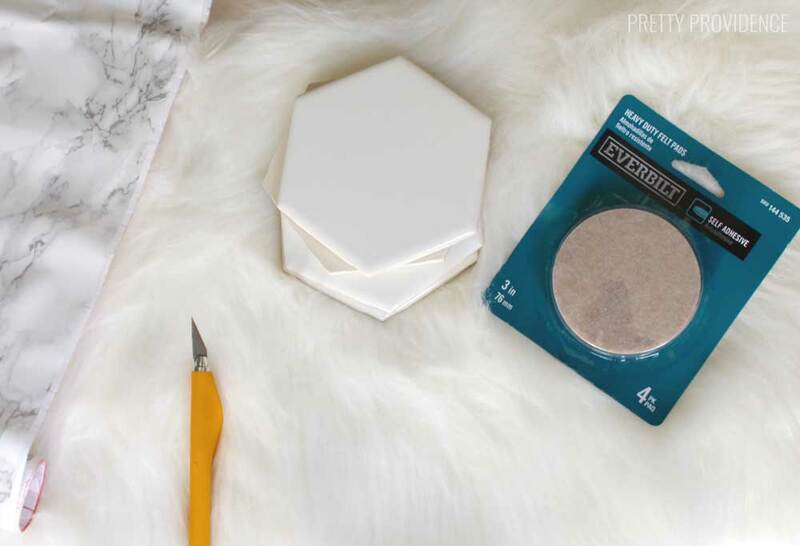 Remove contact paper backing and carefully stick contact paper onto tile, pushing out air bubbles as you go. 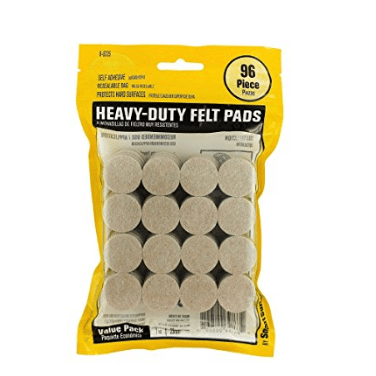 Lastly, remove the backing from the felt pads and stick them onto your coasters. Ta-da! See? SOOO easy! I just love projects like this! And I am pretty sure everyone would like a set of these classy coasters in their home. 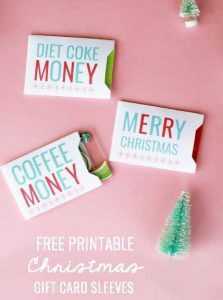 These coasters make great gifts for Christmas, weddings, housewarming, Mother’s Day, basically anything you can think of! 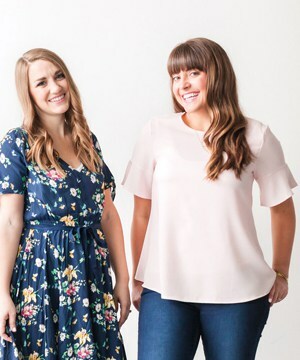 I love that they are so versatile! 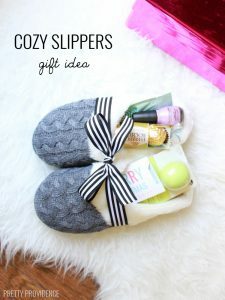 Just wrap some ribbon around them or put them in a gift box and you’re done. 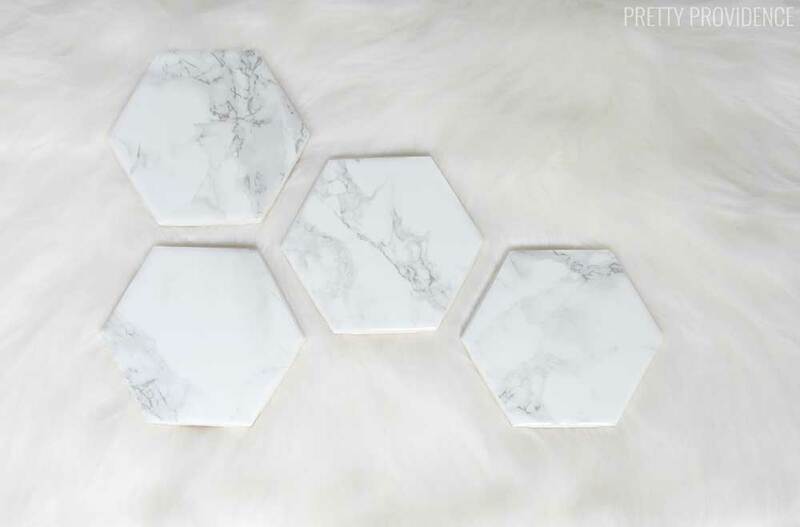 Where did you purchase the hexagon tile? 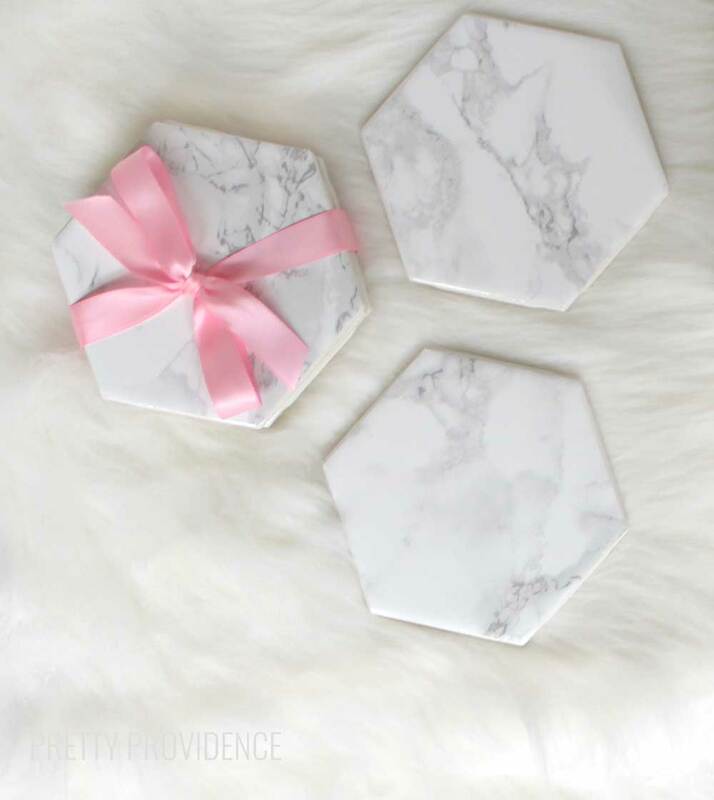 What did you do with the raw side of the tile? Did you put the contact paper over the side of it? I have wanted to do something similar but I don’t like the look of the unfinished tile on the side. I didn’t do anything to it! The sides don’t bother me!